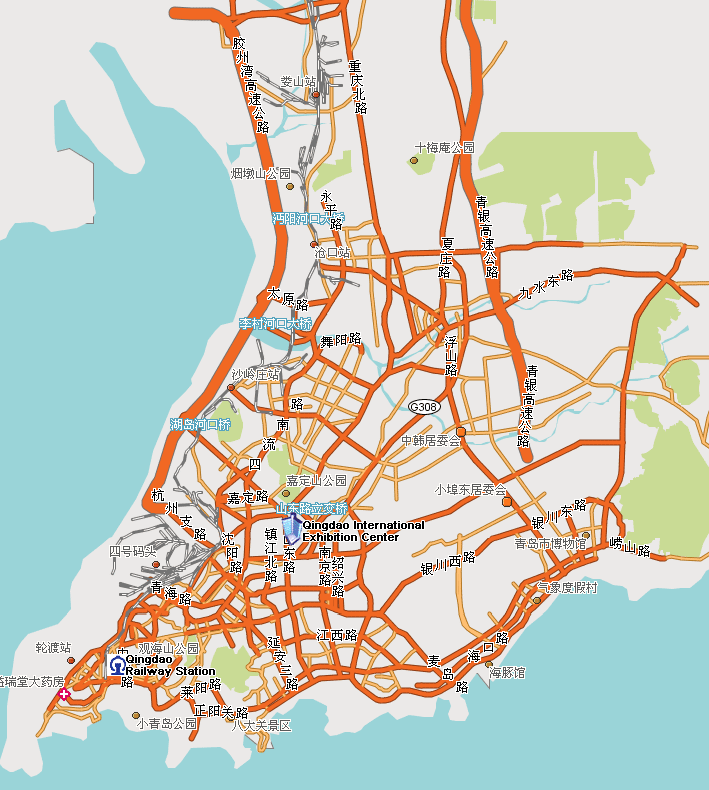 The Qingdao International Exhibition Centre, the Qingdao Railway Station, the Qingdao airport, the city center: on the map this points are visible. But mostly you can see the location of the hotel where you want stay especially in relation with the sea position. Image of Qingdao hotels are active: click on image to read prices and features.